Today find out why online IELTS preparation makes sense for you as an adult when your top priority is time and you need that 7 or higher. Today let’s talk about how traditional classroom learning for IELTS is different from online IELTS learning. If you follow the traditional path your learning situation and your results may be different from when you choose to follow an online course. Let’s look at some of the differences. If you are afraid that you won’t be motivated to study because you have to do it online by yourself then you don’t need to worry about that. In our online IELTS course we have built an amazing community of students who support each other. You may not find this with a traditional classroom. If you take a traditional course in a language school you can’t really meet with your fellow students after class or ask them a quick question unless you plan it out every time. With our course or other online courses you can usually ask a quick question and connect with someone in the Facebook group. You CAN have a sense of community with an online course. We guarantee a score increase or you get 100% of your money back. In many online courses you can always get your questions answered by the teacher when you need it. We have 3 Keys Power Hour where you can join other students and get feedback on your speaking or writing. You can ask a question in Facebook. You can also schedule a private VIP session. When you are in a traditional school you may not be able to get extra time from the teacher outside of the class even if you need it. In traditional schools you spend your classroom time listening to lectures. This is a big waste of time. 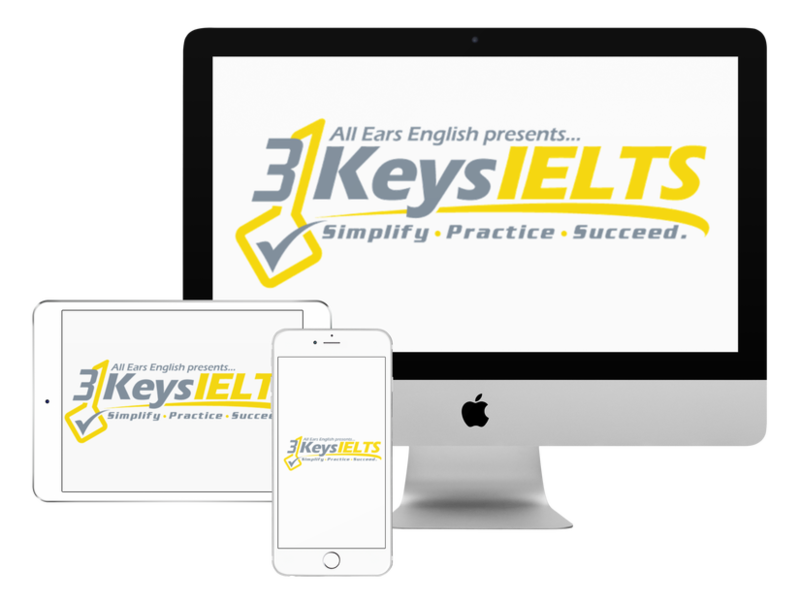 In online IELTS preparation you listen to the lectures through video on your own time, whenever you want. When you actually meet with Jessica, our IELTS professional and other students in our course you maximize your time because you practice what you have learned in the video lectures. Online IELTS preparation is the best way to learn for a smart adult when time pressure matters. In our course you get a 30 or 60-day study plan where each day is scheduled out and we tell you exactly what lectures and test practice to do inside our course AND we give you one outside activity to improve your general fluency outside of our course each day. You need this because you won’t get the score you need if you don’t have the general fluency. Let us know if you have any questions in the comment section below.